I’ve realized from talking to friends and family that I may be getting too technical in my explanations of what’s going on so I’m going to take this post and describe the different parts of the truck that I’m working on. What I’m building right now is a new chassis for the truck. 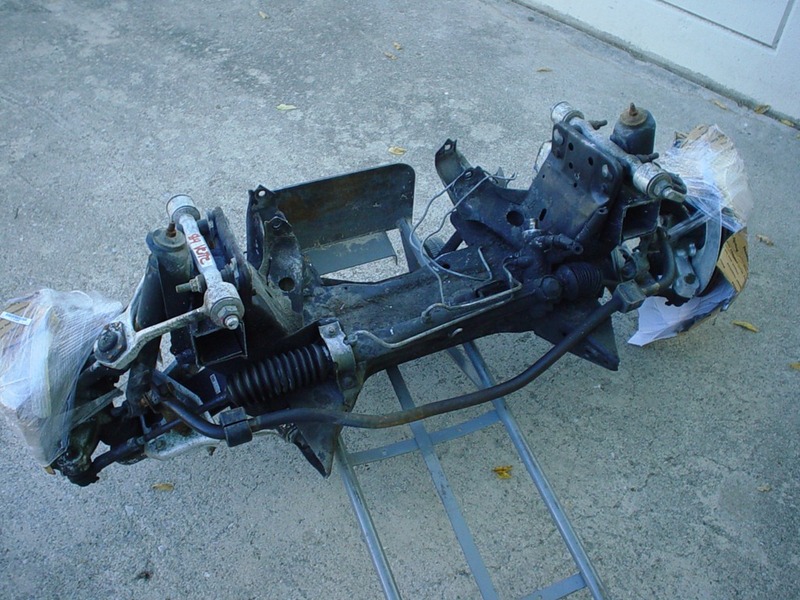 The chassis is made up of several major parts. The frame is the steel framework that everything is attached to. In the case of the ‘56 Ford it looks like a large ladder and is comprised of two parallel frame rails. These frame rails are connected to one another through cross-members at various locations along the length of the frame. The frame sits on a front and rear suspension. The original frame had a solid front axle and a live rear axle. A live rear axle contains the differential that turns engine power delivered via the driveshaft into rotating the rear wheels. 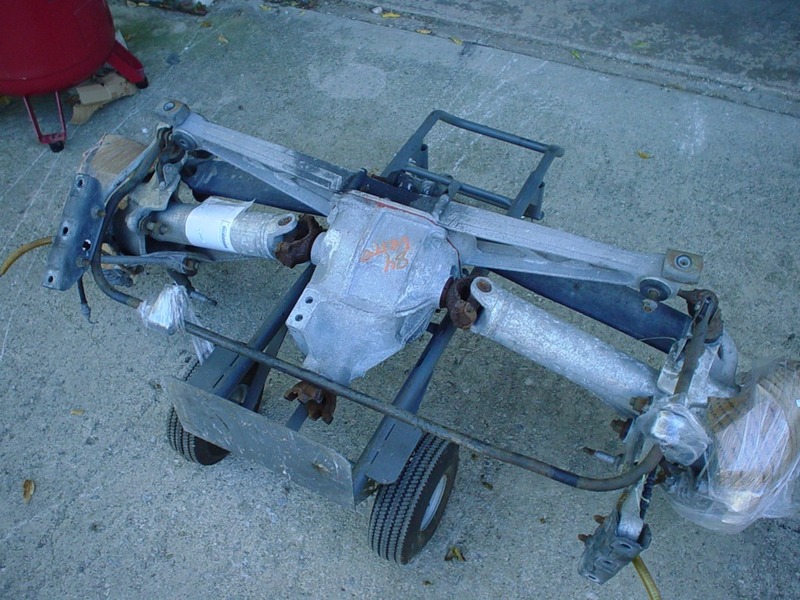 In the picture above the front suspension has been replaced on this frame with an Independent Front Suspension or IFS. Most modern cars and trucks have an IFS and it means that each side of the suspension moves independently of one another. I’m taking it a bit further by placing both an Independent Front Suspension and an Independent Rear Suspension (IRS) under the new frame I’m building. This entry was posted on November 8, 2010, 10:26 pm and is filed under chassis, f100. You can follow any responses to this entry through RSS 2.0. You can leave a response, or trackback from your own site.